If you've had ongoing problems with your Chevrolet, you may be entitled to compensation. Kimmel & Silverman provides free Lemon Law help to many car owners every year. Potential brake leaks (Chevrolet Express and GMC Savana vans). Faulty automatic transmission (Chevrolet Cruze sedan). Steering wheel issue (Chevrolet Cruze). Power steering issue (Chevrolet Cobalt). Loose windshield wiper nuts (Chevrolet Colorado). Defective rear axle cross pin (Chevrolet Avalanche, Chevrolet Colorado, Chevrolet Silverado, Chevrolet Suburban, and Chevrolet Tahoe trucks). Heated washer fluid module (Chevrolet Avalanche, Chevrolet Silverado 3500, Chevrolet Suburban, Chevrolet Tahoe, and Chevrolet Traverse). Electrical problems (Chevrolet Trailblazer, Chevrolet Silverado, and Chevrolet Malibu). Antifreeze leak problems in Chevrolet Cruze. Transmission problems with Chevrolet Equinox. Legal help is completely FREE when you call Kimmel & Silverman. 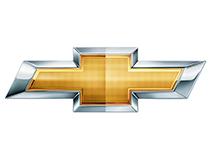 Fill out this form and a representative of 1-800-LEMON-LAW will contact you within one business day about your lemon Chevy. Or phone us at 1-800-LEMON-LAW (1-800-536-6652).